Color flag of Guernsey. 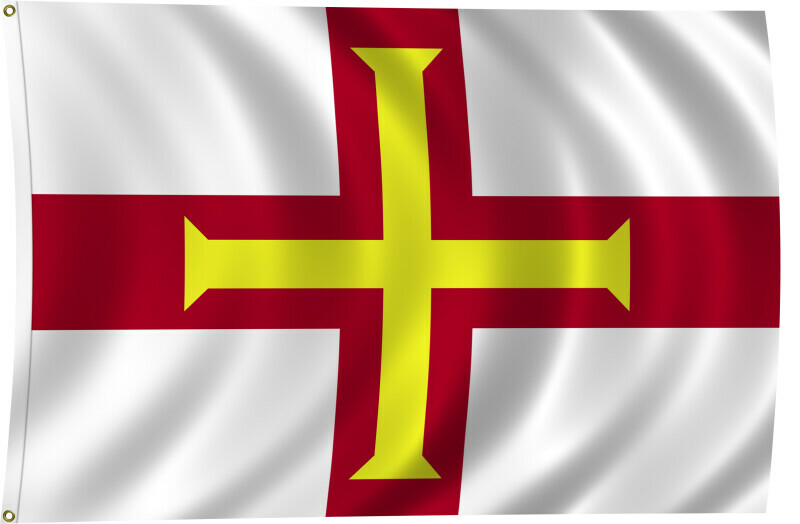 White with the red cross of Saint George (patron saint of England) extending to the edges of the flag and a yellow equal-armed cross of William the Conqueror superimposed on the Saint George cross. Flat color and black/white versions of world flags are available on the Clipart ETC website.